Cervical disc herniation: which surgery? Cervical disc herniation is a common pathology. It can be treated by different surgical procedures. We aimed to list and analyzed every available surgical option. 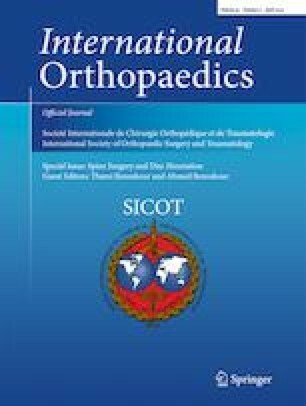 We focused on the comparison between anterior cervical decompression and fusion and cervical disc arthroplasty. The anterior approach is the most commonly used to achieve decompression and fusion by the mean of autograft or cage that could also be combined with anterior plating. Anterior procedures without fusion have shown good outcomes but are limited by post-operative cervicalgia and kyphotic events. Posterior cervical foraminotomy achieved good outcomes but is not appropriate in a case of a central hernia or ossification of the posterior ligament. Cervical disc arthroplasty is described to decrease the rate of adjacent segment degeneration. It became very popular during the last decades with numerous studies with different implant device showing encouraging results but it has not proved its superiority to anterior cervical decompression and fusion. Anterior bone loss and heterotopic ossification are still to be investigated. Anterior cervical decompression and fusion remain the gold standard for surgical treatment of cervical disc herniation.